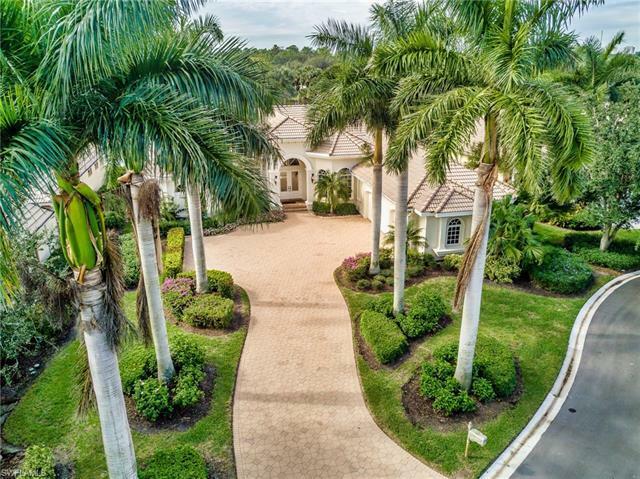 10256 Idle Pine Ln, Estero, FL.| MLS# 218070826 | Bonita Springs, Estero, Naples, Fort Myers Beach FL Real Estate | Marie Pimm PA Realtor. Representing U.S. and International Buyers and Sellers in the purchase and sale of investment or personal property. Marie is a skilled 1031 Exchange Realtor. Custom Keevan home with southern exposure and expansive lake to golf course views. This three bedroom, three-and-a-half bath home with a three-car garage is a must see! Enjoy your spacious lanai with brick pavers, pool, spa, summer kitchen, fireplace and large undercover seating. electric and manual shutters, double tray ceilings with crown molding, surround sound system, granite counter tops, gas range, an island in the kitchen with sink, beautiful bath with garden tub, walk-in shower. This impeccably cared for home has a newer water heater (2016), pool pump (2017), pool heater (2016) neutral colors throughout. Shadow Wood Country Club offers 54 holes of newly updated golf, bocce ball and 9 state of the art tennis courts, wonderful dining and coming soon a totally new casual outside dining venue. The Commons club offers spa and fitness and beach club access.